After 22 enthralling matches, the inaugural season of the Afghanistan Premier League (APL) will approach its conclusion on Sunday. Balkh Legends and Kabul Zwanan gear up for what promises to be an absolutely riveting final at 21:30 IST at the iconic Sharjah Cricket Stadium. Having won six of their eight group matches, Balkh enter the title clash as arguably the front-runners. They also emerged victorious by comfortable margins in both the previous games against Kabul. That being said, the prospect of a final should even the scales considerably. With three fifty-plus scores in his last three matches, Chris Gayle enters the summit clash on immense form. If the Caribbean stalwart continues his golden run, Kabul Zwanan's bowling attack will find themselves under massive pressure. Kabul's opening combination of Hazratullah Zazai and Luke Ronchi have the potential to quickly take the game away from Balkh's grasp. When these two sides last met, the left-hander went on a six-hitting spree. Unfortunately for him, his opponent Abdullah Mazari is highly unlikely to line up in the title clash. Upon being promoted to open the batting, Darwish Rasooli top-scored in the first semi-final. The sensible manner in which he consolidated after beginning with a flourish should augur well for Balkh in the final. On either side, the middle-order will be manned by Ryan ten Doeschate and Colin Ingram. While the Dutch veteran can be depended upon to make a noteworthy contribution, the South African southpaw has the ability to find the boundary on a regular basis. 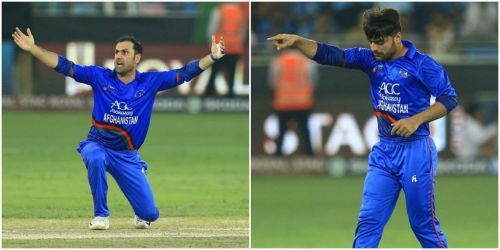 Contesting skippers Mohammad Nabi and Rashid Khan hold the key for Balkh and Kabul respectively. Despite experiencing lulls at the start of the tournament, the two star all-rounders have peaked at the right time. Even as the Legends captain is capable of plundering the opposition attack, the Zwanan leader offers a significant guarantee with the ball. Much of Balkh's success thus far has been due to the steady efforts of their seamers. Between them, Gulbadin Naib and Mirwais Ashraf have picked 25 wickets at the cost of 387 runs from eight matches. The onus will be on the right-arm pace duo to topple Zwanan's openers before returning to provide control in the death overs as well. With Kabul's middle-order appearing rather shaky, leg-spinner Qais Ahmad's middle-overs spell might make a lasting impact on the outcome of the match. The 18-year-old possesses adequate variety to trouble unrelenting batsmen on seemingly docile pitches.